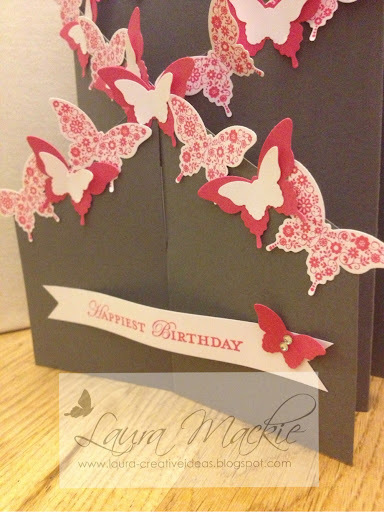 Cardstock and ink - basic grey, melon mambo and whisper white. Wow Laura! What a lovely card. 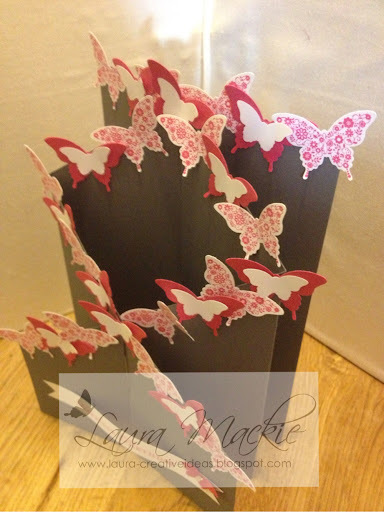 A cascade of pretty butterflies which look gorgeous in contrast to the kraft colour. I seem to be saying Wow! on all DT's projects... this is stunning, so glad you had a punch, imagine cutting out all those butterflies. 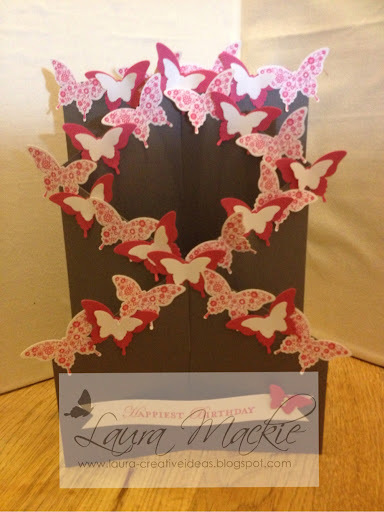 This is fabulous Laura I love the design and all the butterflies.